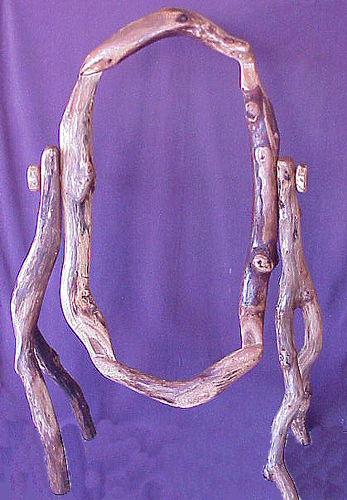 Several years ago, I was asked if I could create a "tree bed" and was commissioned to do so. 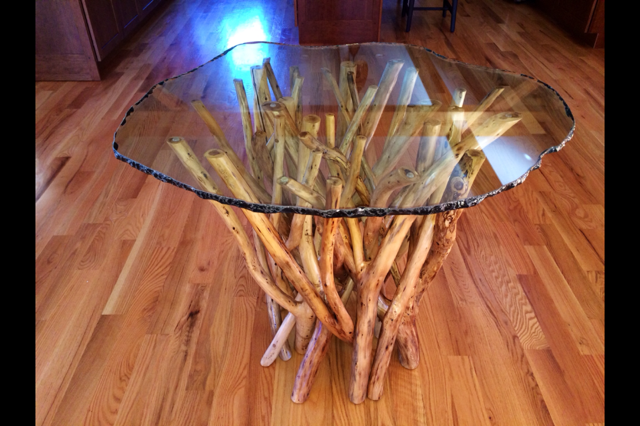 At that time I chose to use spalted oak branches and make it look like it "grew" together. 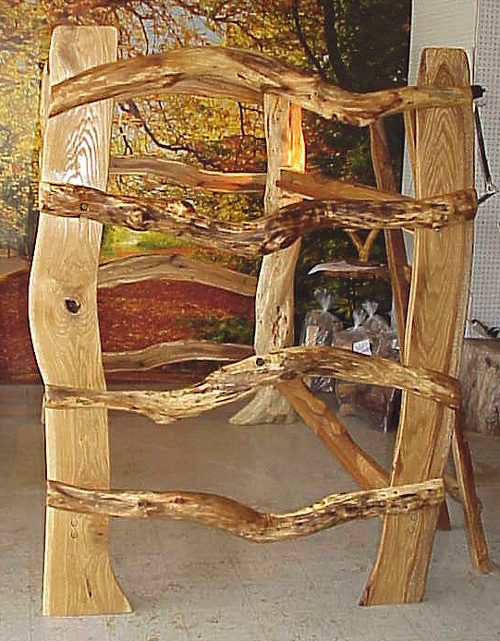 The client asked me to use my imagination, to create a "tree bed"; he said. The result is the King sized bed directly below. Using the above, free formed process is quite time consuming. The goal is to create natural looking joinery. SO natural that it appears as though they grew together. Painstaking work, incredible results, yet costly as all work of at this level is. 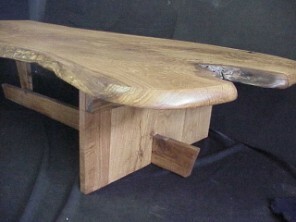 Below is a sliced oak branch style. A similar look but, a bit less cost. 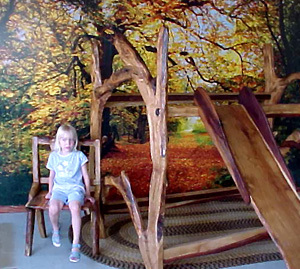 And below , after the above sliced look, I created this "free formed fairy tale bed " complete with a slipper slide. And finally a free standing mirror. Alice in wonderland mirror I call it AND it tilts (adjusts to your size). Related pages. Click onto any of the links, below.